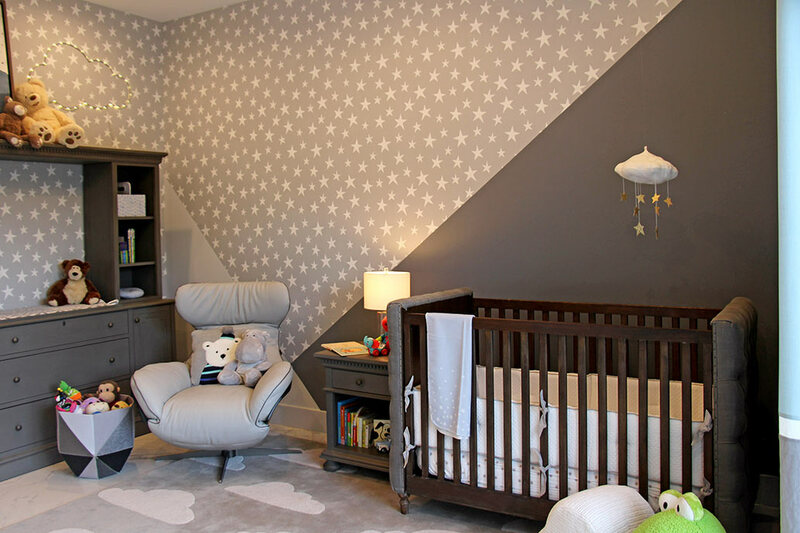 Creating a calm, relaxing atmosphere was the main focus of our DKOR team as they designed this gray nursery for our clients in South Miami. 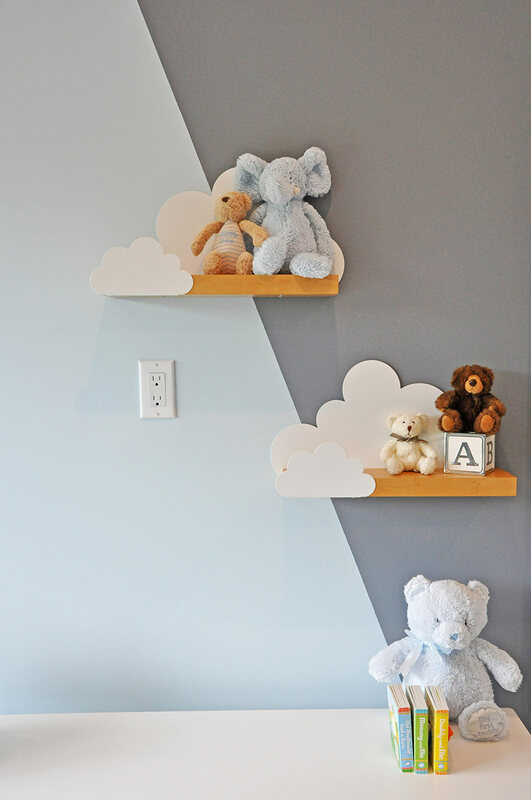 Our team was inspired by the serenity of a cloudy day and combined that with the rest of the home’s mostly gray color palette and prism-influenced design concept to bring tranquility to this nursery. 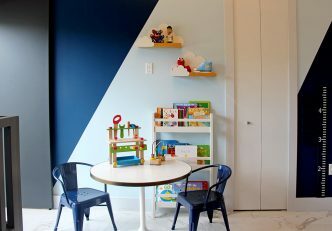 Designing a home can take a while, and in the process of our work with this client, they found out they were expecting another baby—the tiny inhabitant of this nursery. 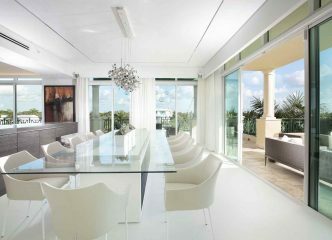 So, while we loved working on each of the rooms in the home, this one was a special labor of love for our Miami design team. In addition to carefully curating cloudy touches throughout the space—from the mobile to the area rug, from wall shelves to light-up artwork—our designers also worked with our client’s existing furniture in the design phase. The client had beautiful existing Restoration Hardware nursery furniture that was over scale for the space, but we wanted to provide her a furniture layout that felt light and relaxing as you walked in. — Marianna Cerullo Di Bella, Lead designer. 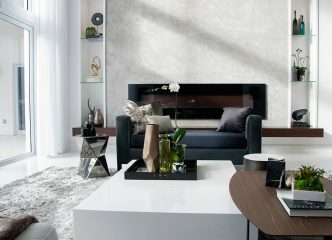 Our client’s furniture, including the bookcase and dresser. 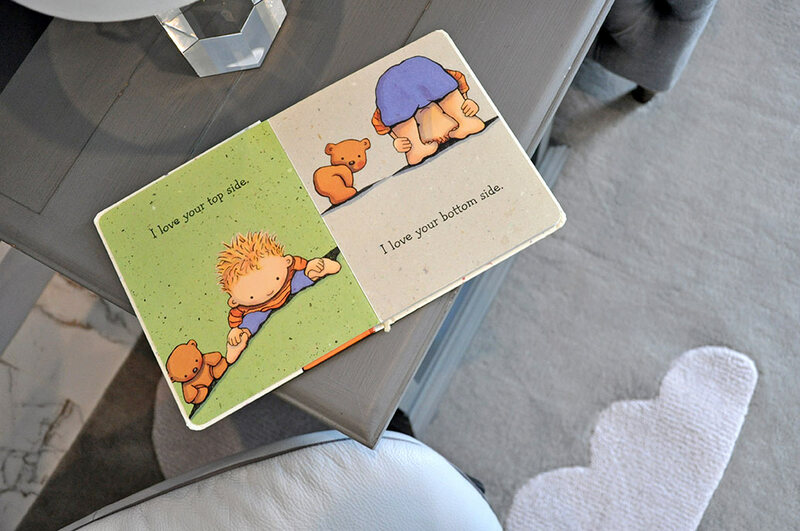 These pieces offered plenty of storage space for all of the baby’s necessities, like books, toys, itty-bitty clothes, and more. 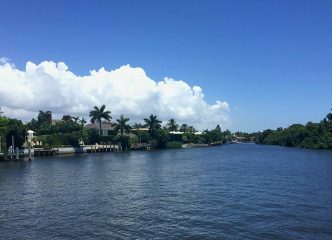 Our favorite cloud accent? The adorable plush, stuffed cloud we placed right at the foot of the crib. Its playful, kind face is just as soft as the cloud itself. The soft color scheme allowed our designers to be bold with the walls—carrying over the geometric, prism-influenced design from the rest of the house. 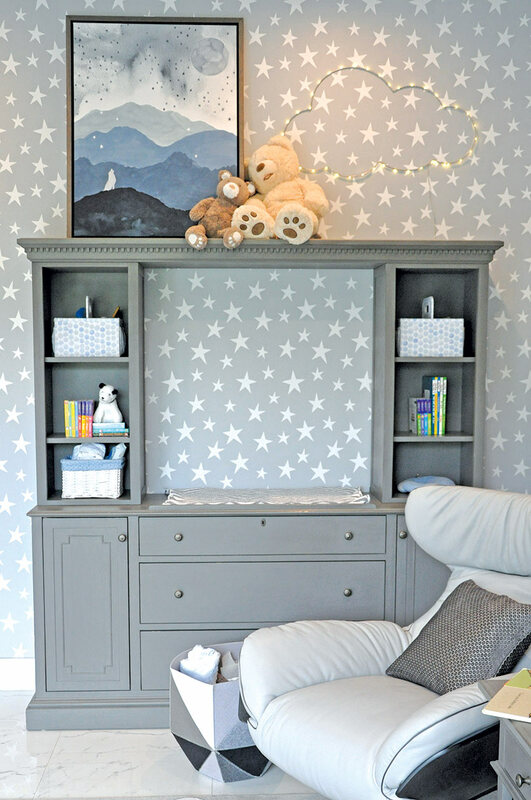 Our interior designers created dramatic color blocking with star-patterned wallpaper and a variety of light blue and gray paint. 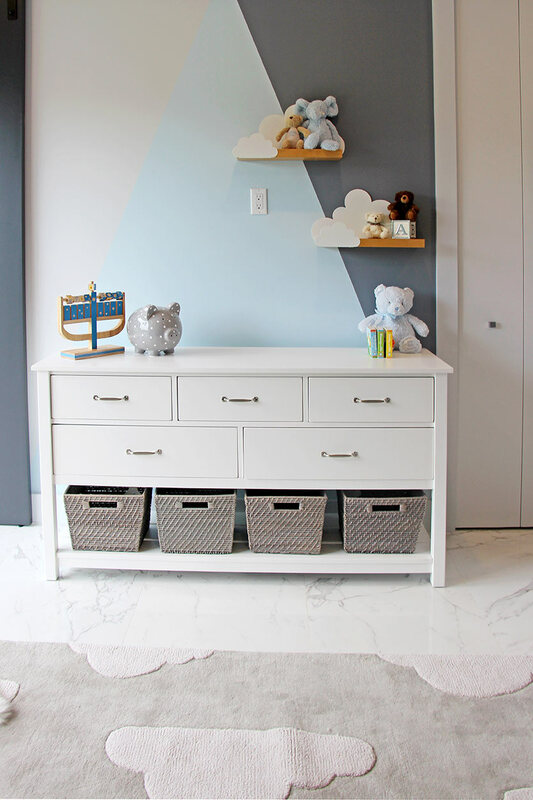 This cool feature not only connects the nursery to the home’s other rooms, but it’s adaptable to many different designs. The best part: it can grow with the child as they age. 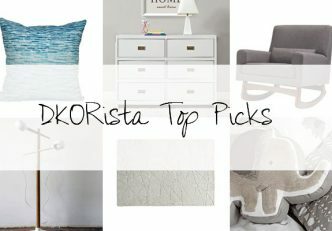 Do you love this modern gray nursery as much as we do? 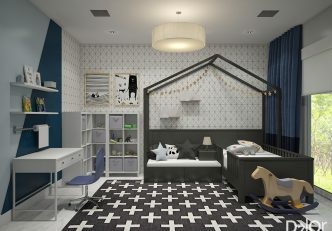 Check out the other kids’ rooms in this home for more kid-style twists on our design concept.